The Eliza Agnew BPO service center is the first local youth owned Business Process Outsourcing (BPO) company in the Northern province. 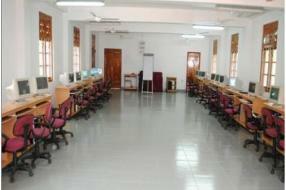 This is the third initiative by FARO (http://www.farolanka.org/) towards extending opportunities for rural youth in Uduvil through its unique BPO model. In this initiative FARO had the support of ICTA, the state’s apex organization that governs IT policy and direction in the country. The well known Sri Lankan Blue chip company Hayley’s PLC (www.hayleys.com) is outsourcing work and providing the necessary training to the Elizabeth Agnew associates. The Eliza Agnew BPO service center is located in the premises of the Uduvil Girls’ College, 187 year old school that provides the critical overseeing role required for stability and good governance within the BPO. Additional capital for this project was raised with the assistance of a network of volunteers from Reconcile & Rebuild Sri Lanka (www.reconcileandrebuild.org) based in the USA, as well as Uduvil Girls’ College alumni from around the world. The Uduvil BPO project established a business out sourcing center in the village of Uduvil with an initial capacity of twenty seats. The project calls for an investment of LKR five million ($50,000) that would be incurred in acquiring and establishing all of primary infrastructure needed for a first class BPO service facility. The actual project work commenced in April 2011 and in September 2011 we commenced our operations with 5 seats now.